Brief explanation how an LSD works and how it benefits your driving. 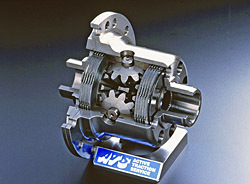 ATS's new evolutionary LSD for 2009. 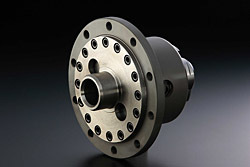 It offers the performance of clutch type LSD and the quietness of a gear type LSD. 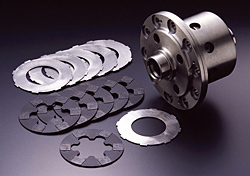 ATS standard metal LSD with 12 or 16 internal discs and most performance oriented LSD - Type D20 with 20 discs. 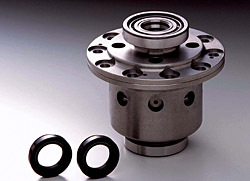 A very tough and durable ATS LSD designed specifically for drifting competition. ATS Carbon LSD has revolutionized the LSD concept. Super smooth and noiseless operation. Selective models are available from us. The production of the Kinoshita spec was discontinued. The research & development for the Kinoshita spec led to the introduction of ATS Carbon LSD Spec II. *** A 1 way cam is available for the LSDs with 87mm diameter disc.